I’ve been kind of an updating machine lately. Wasn’t really planning anything for today, but that’s what insomnia does to you. We talk about a lot of actors nobody has ever head of on this site, but I always love talking about the lesser known films of the really well known actors. Those hidden gems among the Some Like It Hots and the Casablancas. 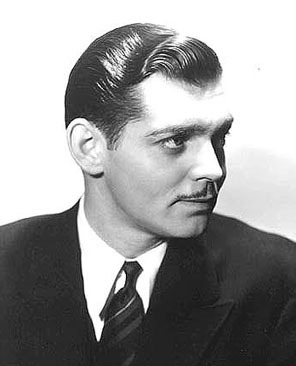 Clark Gable is an actor who everyone knows, for Gone With the Wind alone, if for nothing else. He had a really long career as a leading man, spanning over three decades, working with almost every leading lady imaginable. He has so many, many movies that are remembered as classics. It Happened One Night, The Misfits, and Mogambo. But, this being Obscure Classics, I want to talk about those movies that aren’t widely known. And really, I want to talk about some of his movies that don’t really get a lot of talk here. There are a lot of posts that mention movies like Men In White and Possessed, so I’m going to try to spotlight just a few that haven’t gotten so much attention here. This movie has a criminally low rating on IMDb. It’s not any kind of masterpiece, but it’s certainly not as bad as that 4.9/10 would suggest. It actually is really good. Gable costars here with his frequent leading lady (and sometimes bedmate) Joan Crawford. This is definitely not a light movie, dealing with issues like suicide. Gable and Crawford are always wonderful together, and can say so much without actually saying anything. Their onscreen relationship, as it always did, feels intense and genuine. Gable is really good here, but it is Crawford’s movie. She gives a very vulnerable performance. Despite the presence of Gable and the lovely Madge Evans, I really didn’t think I was going to like this one the first time I watched it. The whole story of race horses and gambling sounded a little silly to me. But the movie is surprisingly gripping and really well told story. It’s got that struggle and redemption aspect that always gets me. There’s also a genuine affection for horses and horse racing present in the film that’s really effective, even if you’re not really into that whole scene. Gable and Evans are fantastic together. They have chemistry to spare, which is why it’s a huge shame that didn’t work together again. In this fun and light mystery/drama, Gable plays a reporter trying to solve the murder of a socialite. He gets in with wealthy Constance Bennett, an acquaintance of the victim, and he falls for her, but he can’t help himself from using her to get the scoop for his story. It’s not really a comedy, so don’t go in expecting something like The Thin Man, because it’s not very funny. But it is a light and somewhat breezy murder mystery. Gable and Bennett are good together, and their romance is actually convincing instead of feeling tacked on for convention’s sake. It also sports an impressive supporting cast which includes Billie Burke, Henry Travers, and William Demarest. I’m actually kind of surprised I don’t talk about this movie more here because it’s one of my very favorite Gable movies. Clark Gable and Lana Turner really are one of the most underrated pairings in classic film. They made a few good movies together, they looked gorgeous when they shared the screen, and they had chemistry. Somewhere I’ll Find You is probably the heaviest of all their movies. It’s set during WWII, and has two brothers (Gable is one of them, Robert Sterling is the other) trying to attract Turner’s attention. 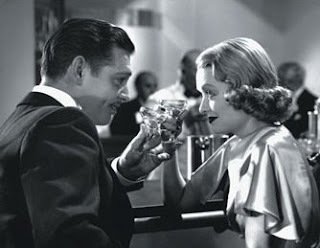 The movie does kind of have Carole Lombard’s death hanging over it, as it was the only movie Gable did between the passing of his wife and his discharge from the military, and the final speech he gives in the film is especially poignant because of it. You lucky ducks. Since I didn’t do a post last week, I’m doing two posts today. So woohoo for you guys! Minna Gombell is DEFINITELY an actress who really doesn’t get the attention she deserves. Even among the character actors she’s often forgotten. I adore her. It may just be because she made a few movies with my personal god, Frank Borzage. But I’ve always appreciated her performances and I’ve always been impressed by her range. 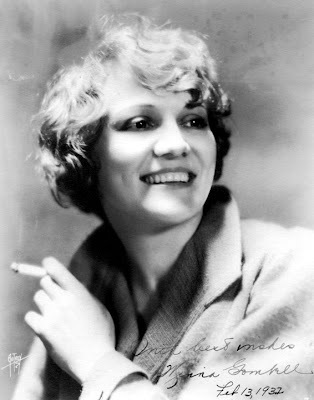 Gombell was nearing 40 when she started out in Hollywood during the birth of the talkies. With very, very few exceptions (Ruth Chatterton being one), actresses of that age were no longer “allowed” by Hollywood standards to be leading ladies. So these actresses of a certain age became character actors, to play older best friend types, or mothers. It was the really good character actors who took these roles and practically stole the films they were in with their amazing performances. Minna Gombell was one of those actors. In this post, I’ll take a look at a few of the films Gombell made with Borzage, my favorite director. 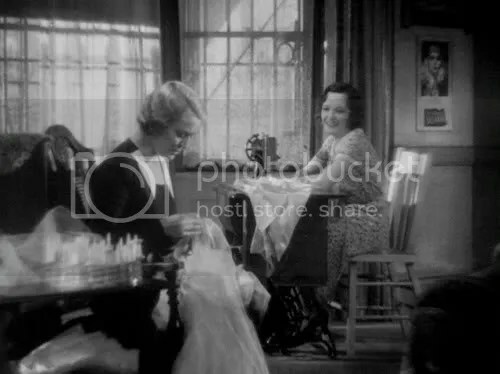 In her first film with Borzage, Gombell plays Edna, the older best friend of Sally Eiler’s Dorothy. Bad Girl is a movie about a young marriage and expecting a child during the Depression. It’s a really mature movie, exploring the damage that a lack of communication can do to a relationship. Both Dorothy and her husband Eddie (played by James Dunn) are pretty nervous and high strung. They’re newlyweds, they’re expecting a baby, money is tight, and they both think that the other one doesn’t want the baby. With two lead characters who are such messes, Gombell’s Edna is the sturdy, steady, calming force in the movie. She herself is a single mother, but the character shows how one can actually get through even the toughest of times. In her second film with director Frank Borzage, Gombell gives what I think is by far her finest performance. She’s Else, the mother of Sidney (Marian Nixon), who is in love with and trying to plan her wedding to Pete (Charles Farrell), but they have little money and marriage is starting to look impossible. The love story between Pete and Sidney is sweet, but the real emotion of the film comes from Gombell. Else is a restless and unhappy woman. She loves her daughter, but she married and had a child at a young age, and now that she’s older she feels that she’s wasted her life away cooking for her husband and ironing her daughter’s clothes. Gombell’s performance is absolutely amazing. This is a character who could very easily garner no sympathy from the viewer, but Gombell creates such a complex character. You hate her for the way she treats her husband and the way she runs away, but at the same time you still genuinely feel for her and the way she’s feeling. It’s a truly beautiful performance, and it makes one of the Borzage’s lesser film completely worth watching. Richard Boleslawski is another of the many, many great, yet underappreciated directors that we love here at Obscure Classics. While he directed a few films in his native Russia (in the area which is now Poland) between 1915 and 1921, his career didn’t really take off until he came to America. His first job wasn’t exactly the brightest omen of things to come. He did fill in work for Erich von Stroheim on the ill-fated Queen Kelly, which was something of a disaster that was never finished. Fortunately, his first job was not an indicator for the rest of his career, and while he never made a picture as big as Gone With the Wind or Grand Hotel, he made many excellent studio pictures before his career was tragically cut short by his sudden death in 1937. 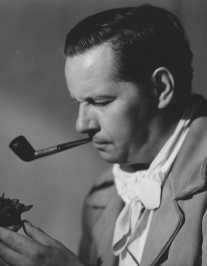 A few of his films, Beauty for Sale and Fugitive Lovers, get quite a lot of talk on this site, so here are a few of his films that haven’t received quite as much attention. The Mystery of Mr. X is one of the man mystery/comedies to come out of the 1930s, and while it’s not quite as good as The Thin Man or The Mad Miss Manton, it’s definitely in the upper echelon of these types of films. It’s a little bit different than these other films in that its lead character, played wonderfully by Robert Montgomery, is not a detective, or a doctor/detective, or lawyer/detective. He’s ‘technically’ not a good guy at all, he’s a gentleman thief. He gets caught up in a murder when he’s stealing a diamond at the same time a policeman is being murdered just outside the building. Scotland Yard assumes the murder and theft were committed by the same man, and Montgomery is left to prove himself innocent. His leading lady is Elizabeth Allan, and the two of them share a really wonderful chemistry that really makes me wish they had made more films together. The screenplay sparkles, and Boleslawski easily mixed the humor with some truly suspenseful scenes. I’ve talked about this movie a few times on this site. It’s a really incredible pre-code film, which tackles some pretty taboo issues with incredible finesse. In Men In White, Clark Gable plays a young doctor in love with Myrna Loy, but his constantly busy schedule puts a strain on their relationship, and he ends up having a one night stand with nursing student Elizabeth Allan. She gets pregnant and has a back alley abortion, which is predictably botched and she ends up in the hospital, fighting for her life. Abortion was perhaps the most taboo subject that could be covered in film in the 1930s, and even during the pre-code era, films had to be delicate about the way it approached the topic. The word “abortion” is never used. It’s hinted at without the word ever being spoken. Boleslawski takes a topic that could be sensationalized and tells a very personal story with it. Boleslawski’s version of W. Somerset Maugham’s brilliant novel The Painted Veil isn’t nearly as good as the almost perfect 2006 adaptation starring Naomi Watts, Edward Norton, and Liev Schreiber. Naturally, the subject matter had to be handled much more delicately in the 1930s. But for what it is, which is basically a watered down version of Maugham’s story, it’s still a pretty good movie, with a really good performance from Garbo. Garbo plays a restless woman who marries scientist Herbert Marshall even though she doesn’t really love him. This lack of love, combined with Marshall’s constant working, leads to Garbo having an affair with George Brent. When he husband discovers her infidelity, he takes her with him to inland China to fight the region’s illness, assuming they’ll both probably die. But in these worst of conditions, Garbo grows as a human being, as does her love for her husband. This movie really only tells half the story of Maugham’s novel, leaving us with the happy ending, rather than going past that to the true, tragic ending of the story. 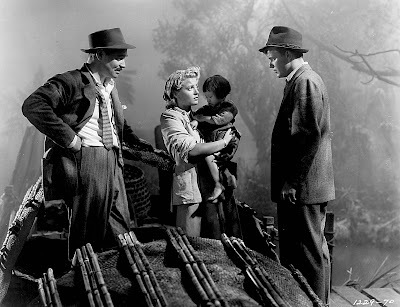 But despite the sunny-ing up of the story, Boleslawski’s film does something that very few films at the time did. It takes a very honest and mature look at adult relationships and marriage.